This four-screen cinema—opened in 1998—offers a mix of independent and current releases, as well as comprehensive retrospectives and eclectic festivals like BAMcinemaFest. Its certainly no Alamo Drafthouse, but that's really what makes BAM so special. It has a charm you really can't get anywhere else! It beautiful, historic, and the BAM group is always supporting the arts, even with its films! They don't just play the hits, but movies that will resonate with Brooklyners, including indie, experimental and the classics! The seating is a bit uncomfortable, but fine for a 2 hour show. And if you go to the movies a lot, a BAM membership is totally worth it! BAM is also next to some of the best shopping in dining in Brooklyn, so if you go to an early show you'll have plenty to do the rest of your day! BAM Cinemas is a local theater with all the charm and character that you would expect from an indie theater: fantastic coffee, not-greasy popcorn and local theatergoers that are respectful of the film on the big screen. An even better deal is to join BAM and as a basic member ($85 which is 100% tax deductible) all movies are $7. Be warned: if you show up 15 minutes after the start time in hopes of skipping the previews you'll miss the beginning of the movie. The coming attraction trailers start early so that the movie begins promptly at the scheduled start time. LOCATION, LOCATION LOCATION. 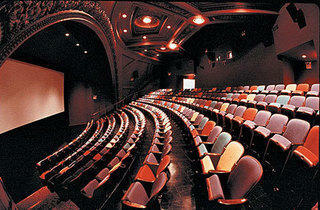 This movie theatre is located in one of the best dining and entertainment areas of Brooklyn, and therefore THE WORLD! (evil laugh). While the seating is old and the snack bar smells of plastic and butter, they feature a very interesting mix of films from popular to indie as well as several film festivals a year. Before and/or after, BAMcafe is right upstairs or you can walk a few blocks and find a restaurant, bar, or other venue to enjoy the day in. BAM Rose Cinemas is a very cozy theater with comfortable seats, quality projection and audio and, most importantly, a great selection of films. I saw Boyhood here with my wife and we've wanted to come back ever since. If only we'd prioritize going to the movies more often, I think you might just run into us here! 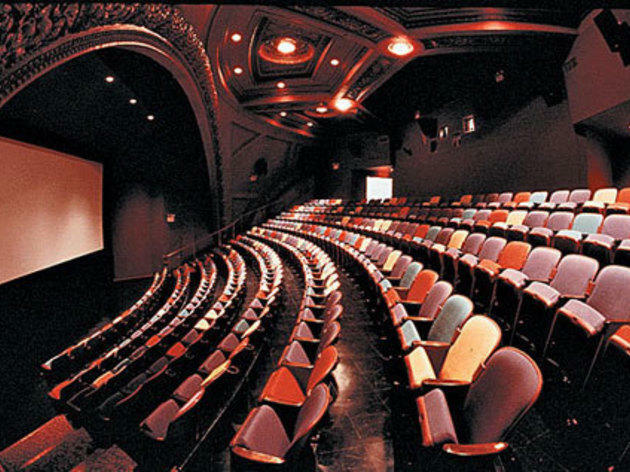 The best seats in the house are in the middle, not unlike most theaters, however due to the short and wide layout there are not as many available. There's a ton of great things to do and places to eat in the area so it's not hard to call this a destination cinema.